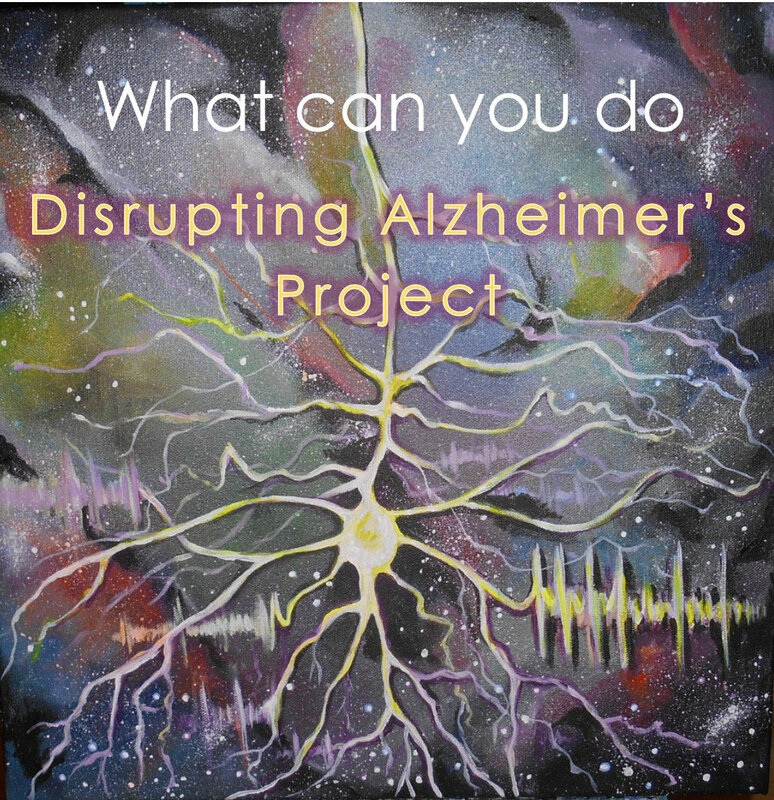 I would like to update you all that have been following the Disrupting Alzheimer’s Project journey on FB, our website, and our seminars where we have been helping to create awareness about Alzheimer’s disease and to look at ways to help disrupt its progression through diet/nutrition holistic therapies and encouraging practical tasks. My journey on this road as many of you know was born from a family member been diagnosed with early onset AD at the relatively young age of 54 this was in 2008. I remember first learning the benefits of coconut oil and how it positively impacts on the brain after researching the internet and stumbling across Dr Mary Newport whose husband was also diagnosed with AD, there were many videos & interviews on You Tube given by Dr Newport about her work and research findings. In those early days, as far has I’m aware, the main stockists of coconut oil were health shops who sold it mainly as skin moisturising cream, many were not aware of its benefits for helping those living with AD or other neurological related diseases. I’m glad to say these days coconut oil is readily available in supermarkets large and small throughout our country. Its possible that the resurgence and interest in this amazing food especially here in Ireland could partially be down to the ongoing promotional and awareness campaign that the Disrupting Alzheimer’s Project have been engaged in over the past few years through social media outlets, radio/press local and national, residential seminars and more recently the Minding Your Mind information seminars. Our awareness campaign took us to the Dail on many occasions were we met with Td’s, Senators and Ministers, here we explained our project, its aims and objectives, our financial needs to run the project effectively and we also spoke about the need for change in relation to looking at innovative ways to address the expected avalanche of people presenting to their GPs with a dementia diagnoses in the coming years. Directly Disrupting Alzheimer’s Project did not benefit from those meetings but indirectly their appears to be a shift to a more holistic approach to looking at ways to treat people with AD. It is encouraging to see and hear advertisements on both radio and TV about dementia and to read articles in newspapers, as we have always stated education is key and prevention is the best cure. The fact that many groups/organisations are now funded should help keep this disease to the forefront of people’s minds. For us as volunteers our work has been impeded because of financial constraints, however we are delighted for the small part we played in helping bring about the shift in awareness that is taken place today around Alzheimer’s disease and the role diet/nutrition holistic therapies and practical tasks can play in addressing this disease in the years to come. Another free “Minding Your Mind” Information seminar is coming in September! If you were not able attend our first “Minding Your Mind” information seminar in June, here is another opportunity to learn more about the different type of diets, exercises or activities that can help slow down the progress of the Alzheimer’s disease at our 2nd free seminar on September 15h 11:00–16:00! Save the date and book a place on our free “Minding Your Mind” Seminar by September 12th. Look forward to seeing you! Reading through the evaluation sheets from our first Minding Your Mind seminar on Saturday 25th June we were delighted with the encouragement and positive feedback in making the day a success. For the past few months the team were extremely busy given of their free time in organising this event and were delighted that it was received well. Chinese Medicine Herbalist and research development scientist Martin Fitzgerald was first to speak his talk on prevention being the best cure and five easy steps we can all do to help improve the quality of our lives. Diet/Nutrition food as medicine, eating brain foods such as coconut oil, which helps to repair and regenerate neurons. Blueberries which help eliminate free radicals and prevent the build up of plaque, turmeric which is an anti inflammatory. Exercise doing short 10 minute intervals twice daily as opposed to a marathon once a week, this approach he stated proves more beneficial to the body and mind in the long term. Water drinking plenty of fresh clean water which hydrates the body and helps to keep it in balance. Sleep Martin said the best time for sleeping is around 10.30pm he also stated repair and regeneration of cells takes place between the hours of 1am and 3am. Stimulating the mind Keeping the mind active learning new things challenges the brain which helps to fire of the neurons creating new pathways. Martin also gave an energising Tai Chi demonstration which engages body mind and soul and helps to raise vibrations. Martin was followed by Sr Bernadette Sweeney with the voice of an angel Sr Bernadette engaged the audience in singing some of the songs that are taught at the Memory Lane Choir Crumlin she spoke about the power of music and how it can engage those living with Alzheimer’s disease. She also showed a short inspirational film which was recorded with carers and their loved ones rehearsing in the memory lane choir, her talk also touched on the ego, which she said their is no place for it in the caring community and that every individual should be treated with dignity and respect. Bernadette Bowen cancer survivor and author of seven self help books our third speaker spoke about nutrition and modern food production. She spoke of the high levels of genetically modified foods which contain high quantities of sugar salt and additives which contribute to the many diseases that we are experiencing in today’s society as opposed to a century ago. She also spoke highly of juicing raw organic fruits and vegetables and voiced her concerns around the consumption of animal products. She said disease is disease regardless whether it’s Alzheimer’s, Cancer, diabetes etc, and how juicing and eating healthy foods with a high content of antioxidants can help eradicate free radicals that are produced and stored in our bodies. A number of short workshops were organised, Phil a Capacitor therapist was in room 1 while Catherine led the EFT, Emotional Freedom Techniques group in room 2, Donna Psychotherapist/Counsellor invited individuals to participate in her counselling group session were the individuals were free to speak about any concerns or issues they had using objects as prompts to stimulate the memory process and association. In the main hallway people were queuing up to receive Indian Head Massage from Capacitor therapist Marie while Tomas set up 2 treatment beds in the corner of the hall which proved very popular with the public on the day as person after person accessed the treatment beds which help to align the body. Tomas also displayed an array of organic products (ie) Lions Mane which is recommended for brain health, teas/coffee rich in antioxidants, vitamins and minerals which release energy at a slower rate and help in regeneration of cells in the body to name but a few. The feedback received from the public suggested that more information seminars and workshops need to be rolled out on a regular basis. Disrupting Alzheimer’s Project would like to thank all of you who attended the Minding Your Mind Seminar, we would also like to thank our speakers, volunteers, the Barbara Ward Clonliffe and Croke Pk Community Centre for the venue, our sponsors namely Supervalu, News & Yarn, Creative Flowers and Tesco, Blanchardstown, and local TD Jack Chambers but especially our core team for making this a very special day for all concerned. If you have a family member diagnosed with Alzheimer, you are not fighting the fight alone, see Disrupting Alzheimer’s Project Leader Christy Fleming’s story featured in the Irish independent on June 1st. Thanks to Jill Godsil for highlighting dementia and also for sharing information on our upcoming seminar Minding Your Mind on Saturday June 25th. Disrupting Alzheimer’s Project Leader Christy Fleming was featured in the Irish Times on May 19th. Thanks to journalist Elaine Keogh for promoting our work.